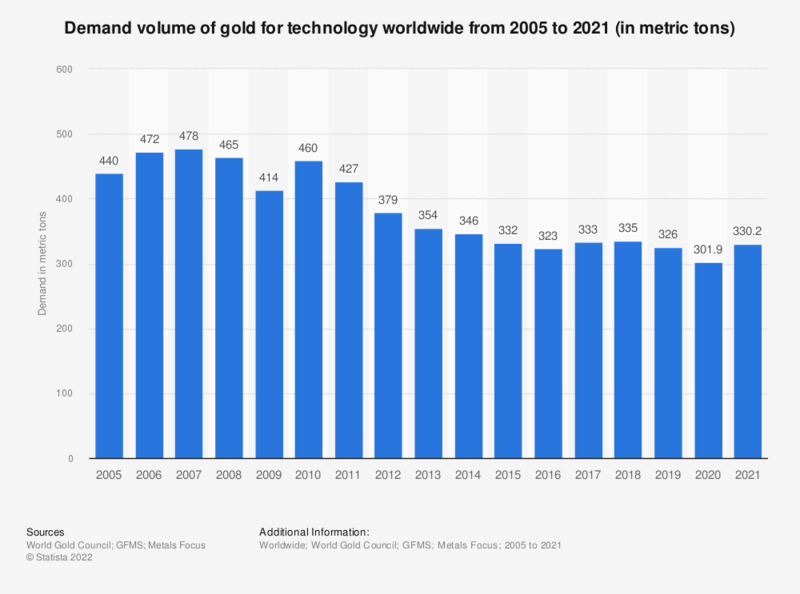 This statistic shows the volume of gold demanded for technology worldwide from 2005 to 2017. In 2017, approximately 333 metric tons of gold was demanded by the global technology sector. Most of the total gold demand worldwide, however, comes from the jewelry industry. By comparison, gold production from mines worldwide in 2017 amounted to 3,150 metric tons.